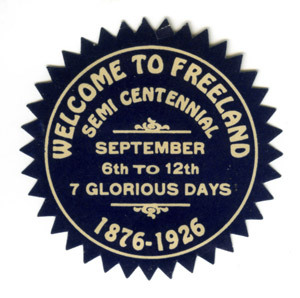 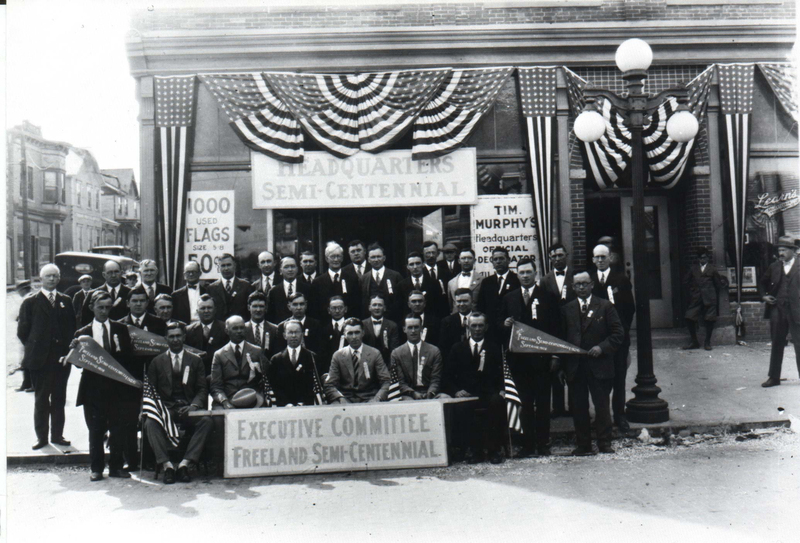 Here is the very sizable organizing committee for the Sesquicentennial celebration of Freeland's 50th anniversary in 1926. The photo came from John Zubach. 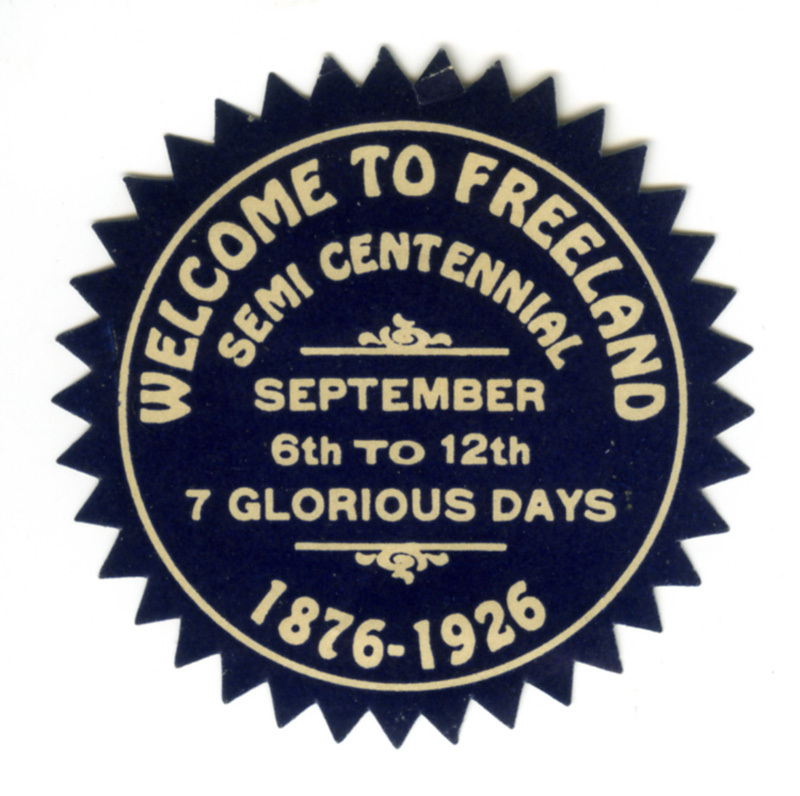 The Pearl Jubilee 20 years before had been an incredible success, and now here they were at the half-century mark in the life of the town. 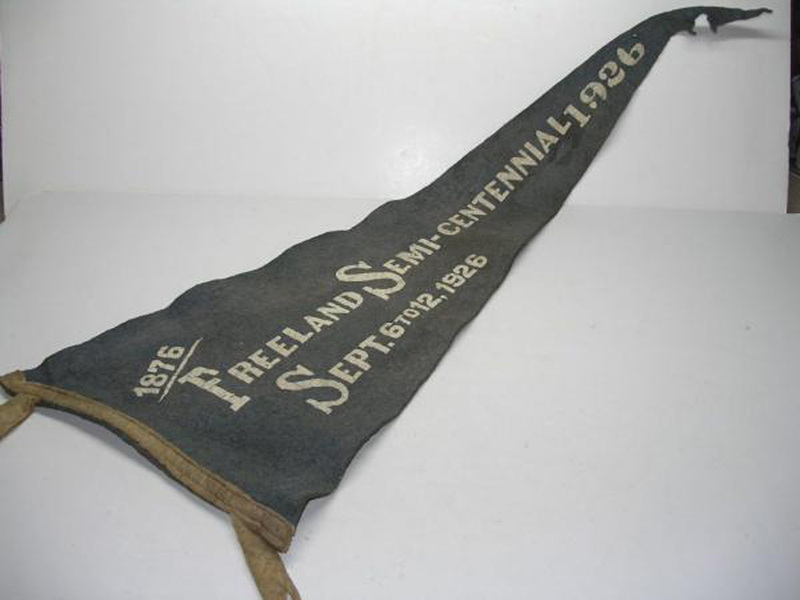 This flag was advertised on eBay some time ago. 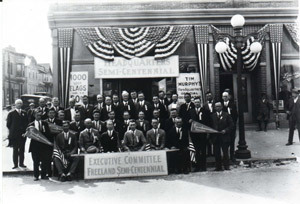 You can see several men holding similar flags in the committee photo, above.